Wishing All Our Brothers & Sisters of The WOTC, A Very Beautiful & Magickal Ostara! Good afternoon, brothers & sisters! Happy Spring Equinox! 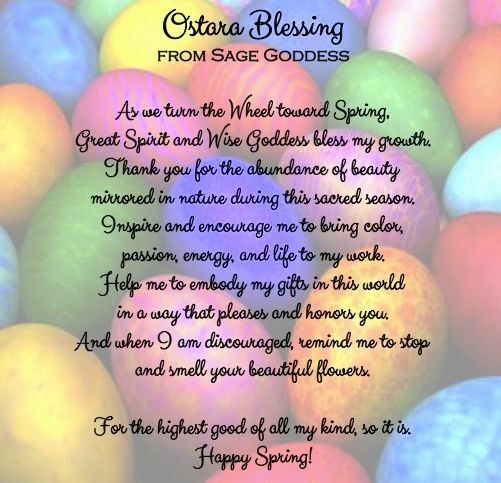 Happy Ostara! Just happy, happy everything! I wanted to apologize for us not being here with you today. I had a doctor’s appointment this morning that I had to keep. It is funny how times change. I use to not go off and leave anyone at the office because something always happened. Now, they don’t trust me to go to the doctor, so they all pack up and go with me. I know the doctor has to hate to see us show up. A mob coming through the door. Lord Myst is the one who talked me into going to the doctor. My ribs have been very painful but then my left arm also started hurting. That is the arm, if you remember, they thought they were going to have to amputate after I had the truck accident. It was put back together with pins, pins, more pins and screws. The doctor sent us over to the X-ray department and they took a X-ray of it. I now have a cast on the lower part of my arm. Apparently there was some damaged due to the bone in that poor arm also. To be on the safe side he put a cast on the lower part of my arm. He said it should heal in a few weeks. Nothing to get upset about just a precaution. Then I got my rump jumped when he looked at my face. He wanted to know what happened and I told him. Apparently, I was suppose to call him immediately, which I didn’t honestly think about. I thought I was the bionic woman, apparently I’m not. But the cast doesn’t interfere with typing and he said there was no problem with me moving my fingers. That was one of the main questions Lord M asked. Good old Lord M, he is worse than a mother hen, I swear! I do apologize for us not being here today, of all days. We will be back tomorrow, I promise. Well who knows, I could need to get one of my rods greased by then. Might as well laugh about it. as cry. I hope everyone of you have a better Spring Equinox than mine so far. Jacob and Joseph had helped the little kids color their eggs yesterday. They were planning on having an Ostara hunt today but, as luck would have it, it is raining here. I guess they can still have it in the office. Thankfully this morning, at sunrise, it wasn’t raining. We all went outside to watch the sun come up. I felt a soft breeze blow against me. It was like my soul was being cleansed and refreshed. The others told me they felt it too. We all hugged each other and couldn’t help but shed a tear or two. We thanked the Goddess for guiding us through another Winter. We also thanked Her for this New Season of new beginnings and renewal. We asked Her for Her guidance and protection in the year to come. 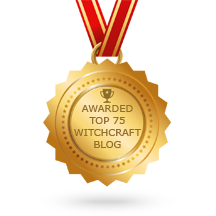 Then we proceeded to cleanse and sage the outside of the building and my cabin. After that, Lynette and Eleanor went to cook everyone a hearty breakfast. I had to go and take a shower real quick to get ready to go to the doctor. I was looking forward to that hearty breakfast, HA! My hearty breakfast was a banana and yogurt, yummy. A banana and yogurt just don’t cut it when everyone else is having scrambled eggs, bacon, biscuits and gravy. I knew not to dare reach for a biscuit or the gravy, they would have probably smacked my hand, lol! Anyway, now that I have told you my whole life story for the morning so far, I am going to bed. We stayed up rather late, I feel alseep in the floor around two this morning. Then I had the boys hollering, “get up Momma, you’re going to miss it! Get up!” So I got up and my rump is dragging and the pain medicine is making me sleepy. I hope you understand why we are not on the internet today. We will be back tomorrow. Till then, my sweets…. 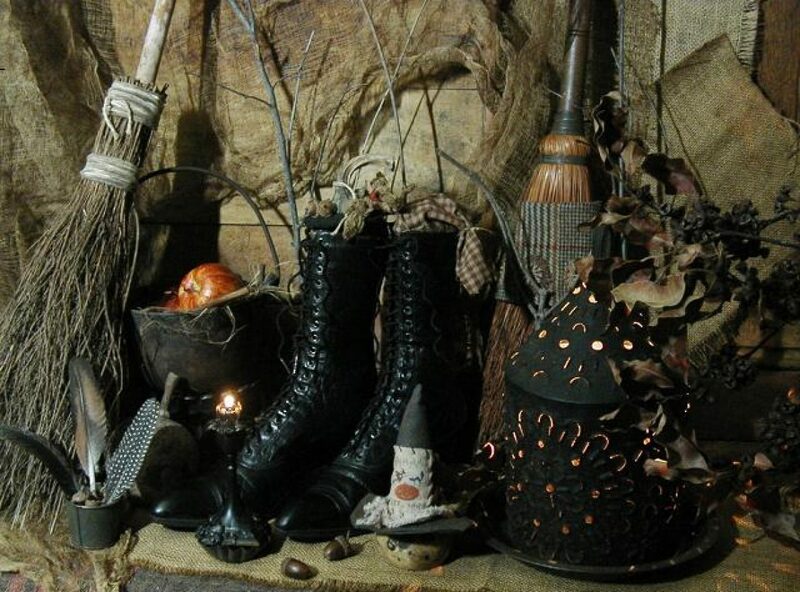 Previous Previous post: Wishing You & Yours A Very Blessed Ostara Eve…..